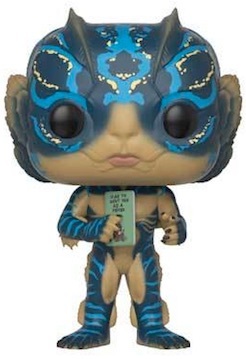 The critically acclaimed film from Guillermo del Toro now comes in take-home size with Funko Pop The Shape of Water. 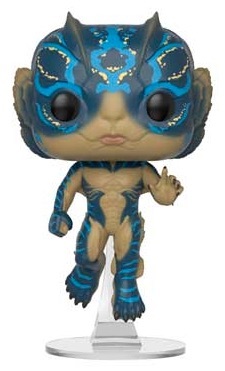 The small set includes key subjects from the Academy Award winner for Best Picture, including the amphibious creature. Set in 1962 Baltimore, the fantasy drama tells the tale of an aquatic creature imprisoned in a secret government facility and the cleaning lady that loves him. 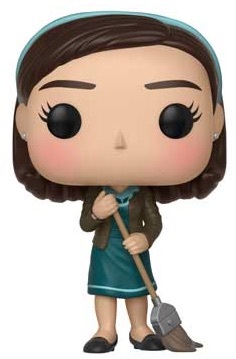 Elisa Esposito, played by Sally Hawkins, is shown in her teal dress with a broom in hand. 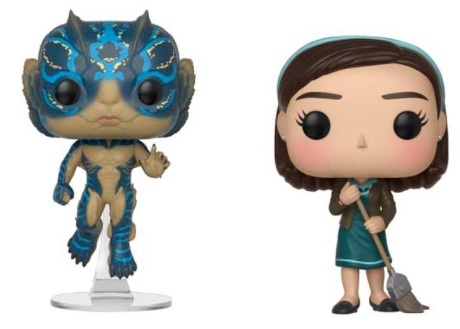 Shop The Shape of Water Pop! figures on Amazon. Known as "The Asset," the Amphibian Man, portrayed by Doug Jones, is suspended in the air on a clear platform base. Considerable detail has gone into his coloring, scales and webbed feet. 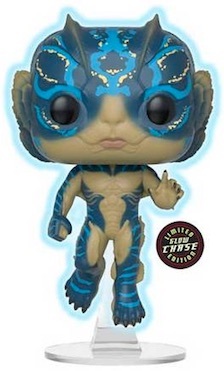 This figure also has a chase Glow version, and there is a standing edition for Amphibian Man, holding a book. 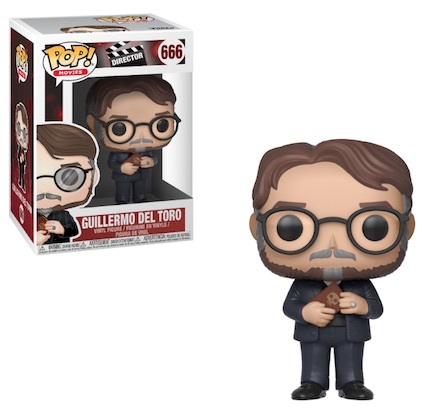 Directed and co-written by del Toro, collectors can even find a figure for the famed Mexican director. The Shape of Water also won del Toro the Academy Award for Best Director. Guillermo del Toro previously directed movies such as Pan's Labyrinth, Hellboy and Pacific Rim. Buy figures at Entertainment Earth.